The 2016 Olympic Games and mosquitoes carrying the Zika virus have drawn the world's attention to Brazil recently. Even the Russians attending the Rio games may not be aware that one of their illustrious forebears, Grigory Langsdorff, was present as the first Russian Consul General in that city over 200 years ago. 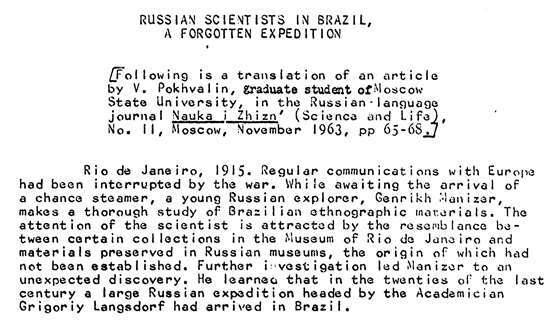 The story of this important naturalist and explorer is told in “Russian Scientists in Brazil, A Forgotten Expedition,” published in 1963 in Nauka i Zhizn' (Science and Life), and found in English-language translation in Joint Publications Research Service (JPRS) Reports. Langsdorff served as consul in Rio from 1813-1820. By then he had already circumnavigated the world and spoke five languages including Portuguese, hence his appointment to the then-Portuguese colony of Brazil. His official duties in Rio were eclipsed by his scientific passion, however, and mosquito-borne complications from tropical diseases ultimately took his mind and ended his career. Langsdorff returned to Russia in 1820, was granted 200,000 rubles for expeditionary support from Czar Alexander the First. 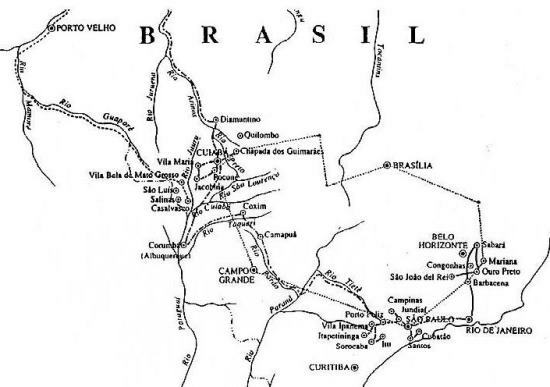 He returned to Brazil in 1822 with a team of scientists and artists. Their three excursions along the coast and into the heart of the country extended over the next seven years. They are not familiar with the great principle of ownership; but among them, on the other hand, there are no thieves, no murderers, no poisoners, no forgers, no swindlers, and none of those moral evils that weigh upon civilized people. Those very mosquitoes were to be the downfall of Langsdorff, who lost his memory and sanity due to tropical fevers. He retired to Europe where he died in 1852.